Japanese cuisine is deeply intertwined with a cultural tradition based on the beauty of the meal’s presentation, the skills of the chef, and the quality of the ingredients. While it can take years to master the first two, today it is possible to source high-quality Japanese ingredients direct from Japan. Keep reading to find out about 8 select washoku ingredients and what to look for when stocking your pantry. Umami-rich shiitake mushrooms are grown all year round in Japan’s southwest Kyushu region. 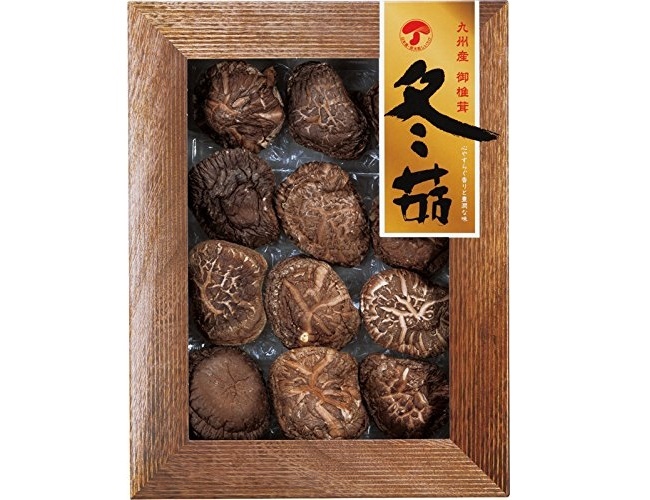 However, for gourmands seeking to stock their pantry with the best dried shiitake from Japan, we suggest buying donko shiitake, which are mushrooms that are harvested during Kyushu’s winter season. By growing the shiitake in colder temperatures the mushrooms mature more slowly, which in turn creates a larger and thicker cap containing even more of the savory umami taste that shiitake is renowned for having. So if you’re looking for flavorful, well-shaped dried shiitake mushrooms, look for donko shiitake. The secret ingredient of countless traditional Japanese dishes, dashi is an essential part of any seasoned chef’s pantry. The Japanese brand Kayanoya is especially known for its line of high-quality, all-natural dashi with no preservatives or artificial flavors. 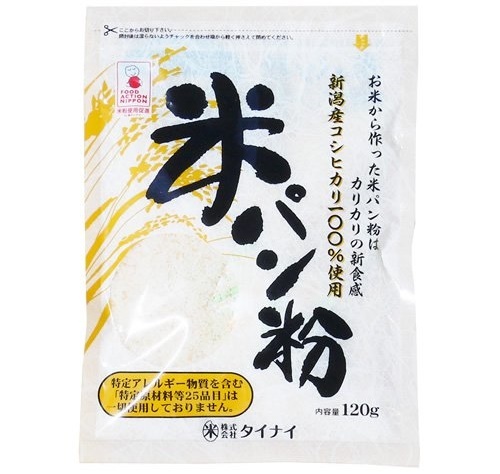 Whichever dashi flavor you choose, you will quickly find that using Kayanoya’s umami-rich blends in your kitchen can go far beyond washoku recipes. The original dashi (containing sardines, bonito, and kombu) and the vegetarian/vegan-friendly mushroom dashi are both complimentary choices for traditional Japanese cooking. Kayanoya’s vegetable dashi (also vegetarian/vegan-friendly) is an excellent seasoning for soup broths as well as adding savoriness to pasta, stir-fry and even French fries. 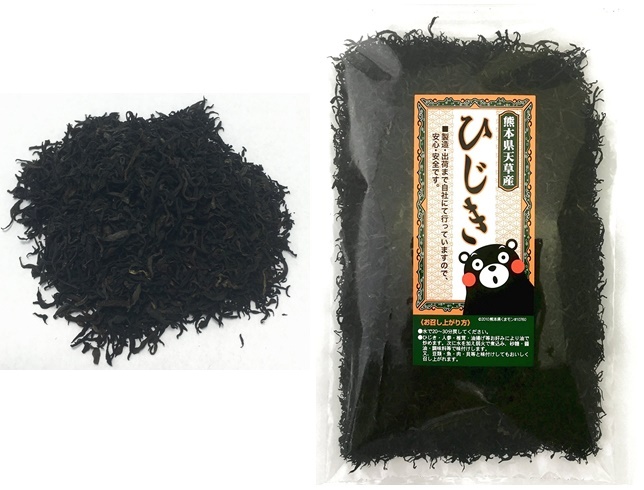 At a slightly higher price point, you can also buy Kayanoya’s premium dashi, which contains the very highest-quality ingredients sourced from Japan. 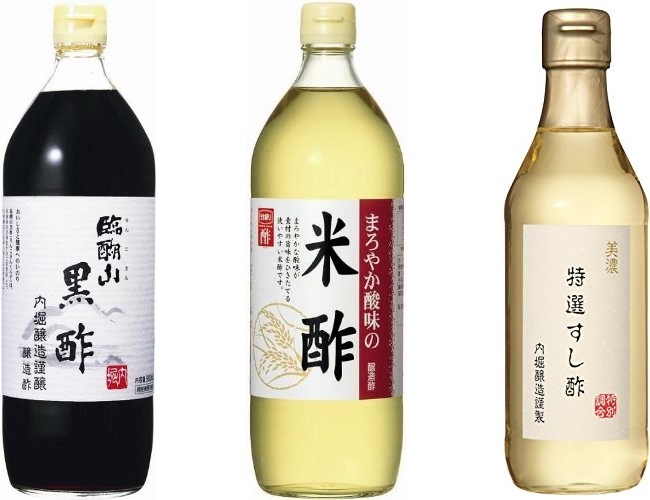 Rice vinegar is a common ingredient found in most Japanese homes, but for Uchibori Brewery, there is nothing common about their selection of premium quality products. 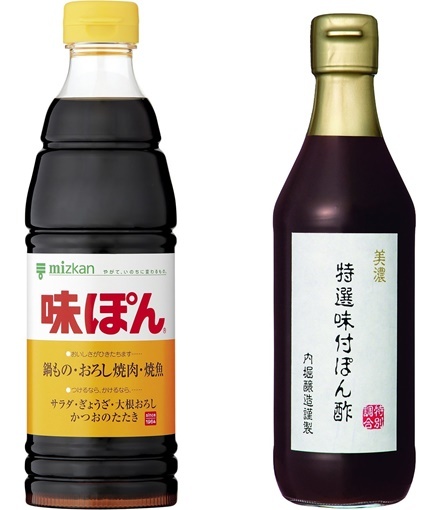 Uchibori’s highly rated black rice vinegar offers a mild acidity paired with an enticing aroma, making it enjoyable both as an ingredient for washoku dishes and as an aperitif when mixed with water and a sweetener like honey. The distinct color and mildness come from using brown rice and barley, instead of white rice, as well as having a much slower processing period than regular rice vinegar. Uchibori also offers savory rice vinegar for cooking, which is processed using traditional Japanese methods, and premium sushi vinegar, which already contains the ideal ratio of vinegar, sugar, salt and kombu. Simply sprinkle the sushi vinegar over warm rice, gently mix, and begin assembling your sushi! Japanese ponzu sauce is a staple condiment that is preferred by many over traditional soy sauce. It can be used as a marinade or for dipping and offers a complex flavor of soy sauce, rice vinegar, bonito flakes, kombu and citrus. Mizkan’s Aji Pon is a go-to ponzu sauce both in Japan and overseas. 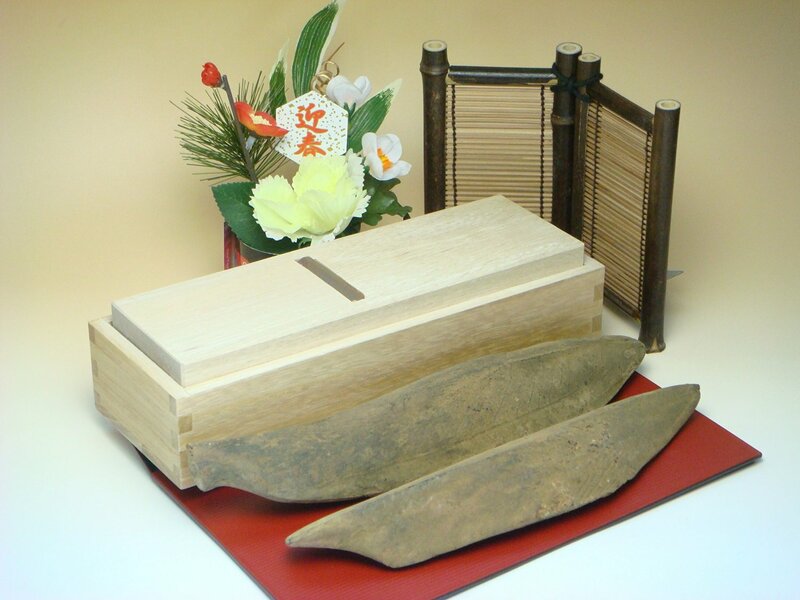 It is by far the most well-known and consumed in Japan and a recommended choice for daily use. However, if you’re looking for a more refined flavor, we suggest stocking your pantry with Uchibori Select Ponzu Sauce, which is made by the same company that makes the rice vinegars featured above. Bonito flakes are another umami-rich ingredient from Japan that is at the core of washoku cooking. Not only is it one of two main ingredients that make up traditional dashi (the other being kombu), but it is also used as a topping for various dishes like tofu and takoyaki. The deep, distinct flavor comes from dried-and-then-smoked skipjack tuna that is shaved into tissue-thin flakes with a bonito mandolin. When shopping for bonito flakes, it is important to match the size of the flakes to how you will use them in your recipe. If you would like to make dashi from scratch, then it is best to buy larger bonito flakes; as a topping for classic washoku dishes, smaller bonito flakes are more appealing to the palate. In Japanese cooking, panko bread crumbs are primarily used for a group of dishes collectively called agemono (panko-covered meats, fish and vegetables). It is possible to make fresh panko, however for most home cooks it is recommended to buy dried panko, which offers convenience and a long shelf life. You may find panko at your local Asian grocer, but we also suggest trying Rice Panko manufactured by Tainai, which has received high customer rankings on both Amazon and Rakuten for its crisp and flaky texture, minimal need for frying oil, and safety for people with wheat allergies. Japanese dishes featuring hijiki offer a distinct flavor of the sea paired with the health benefits of fiber, vitamins and minerals. There are two types of dried hijiki available in Japan, and it is helpful to know which one you are buying if you are new to cooking Japanese cuisine. Me-hijiki is the harvested bud of the hijiki seaweed while naga-hijiki is the harvested stem. The difference between the two is not in the taste but in the texture. Naga-hijiki is chewier and takes longer to rehydrate in water when preparing. Depending on the dish you are making, you will typically find that softer me-hijiki compliments raw salads and the more fibrous naga-hijiki is excellent in simmering stews. Much like dashi, chefs around the world have recently reinvented furikake as a new seasoning for Western-style cuisine. Traditionally furikake is used to spice up a bowl of plain rice or mixed in a rice ball for an on-the-go snack. Today, recipes can be found in cookbooks and online that suggest adding it to pasta, fried foods, meat rubs and even snack mixes. Because furikake could be considered an “every man’s” seasoning in Japan, even high-quality brands are reasonably priced. Marumiya’s Noritama Furikake, which pairs the flavors of seaweed and eggs, has been popular among Japanese households for over 50 years. 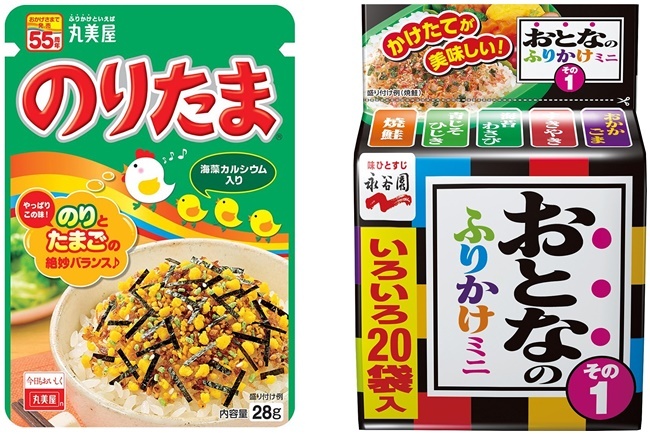 Also, Nagatanien offers furikake variety packs that let you sample the tastes of Japan without becoming overwhelmed with too much of a good thing. The 8 Japanese ingredients listed here are only some of the many high-quality products available in Japan. It can be difficult to know whether or not you’re buying the best, but fortunately FROM JAPAN connects you with Japan’s Amazon and Rakuten online shops where you can quickly see star ratings by Japanese customers. Even without ratings, Japan’s demand for quality ingredients means that whichever brand you buy, you’re likely to be satisfied with your purchase. 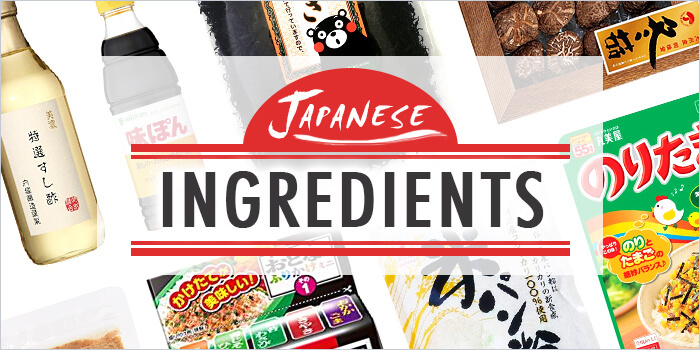 Be adventurous and add some new flavors to your table by searching FROM JAPAN for high-quality Japanese ingredients! Please confirm with your country’s appropriate authorities prior to placing your order that the international food items you would like to import from Japan are not classed as prohibited or restricted for shipment to your receiving country.